The German Law on Arms (Deutsches Waffengesetz) is limiting the length of blade on 8,5 cm of switchblade knives (Springmesser) effective since 1972. 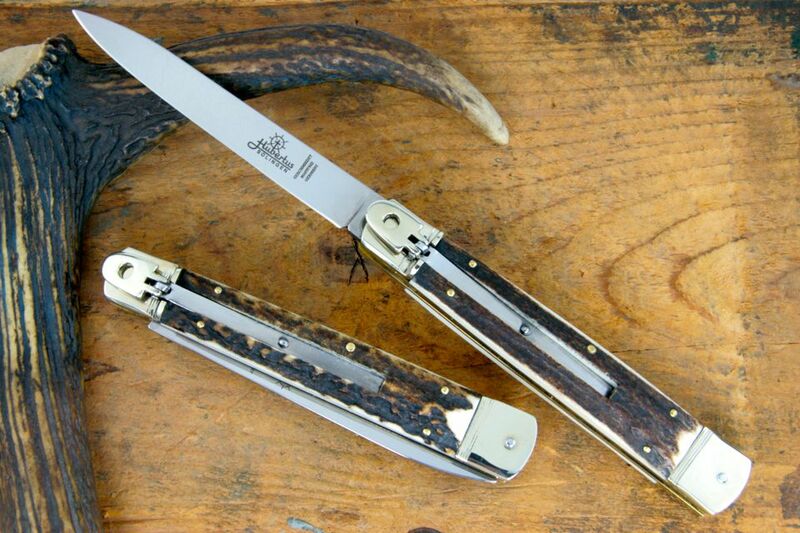 However German Authorities are granting Hubertus cutlery company a general exemption for the export of all kind of switchblade knives. 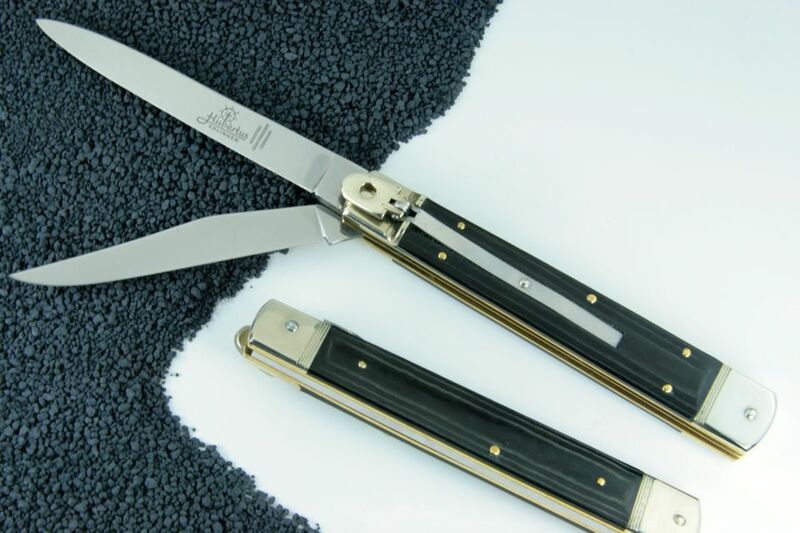 We make use of the exemption for the export of a limited number of classic switchblade knives with a length of the blade exceeding 8.5 cm. Without Authorities' exemption rights sale, distribution and possession of these knives represent a criminal act in Germany. This also applies for the re-import from countries where these knives are offered, sold and distributed legally. blade length: 11,5 cm / 4-1/2 "
blade thickness: 3,5 mm / 0.15"
overall length: 25,5 cm / 10"
blade length: switchblade 11,5 cm / 4-1/2 "
manually opening clip point blade 10 cm / 4"